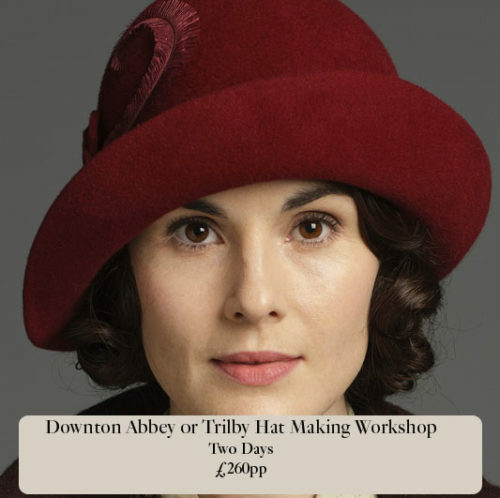 Taking inspiration from the historically accurate hats Sahar made for Downton Abbey, this class teaches traditional techniques of ‘blocking’ felt around wooden hat blocks. 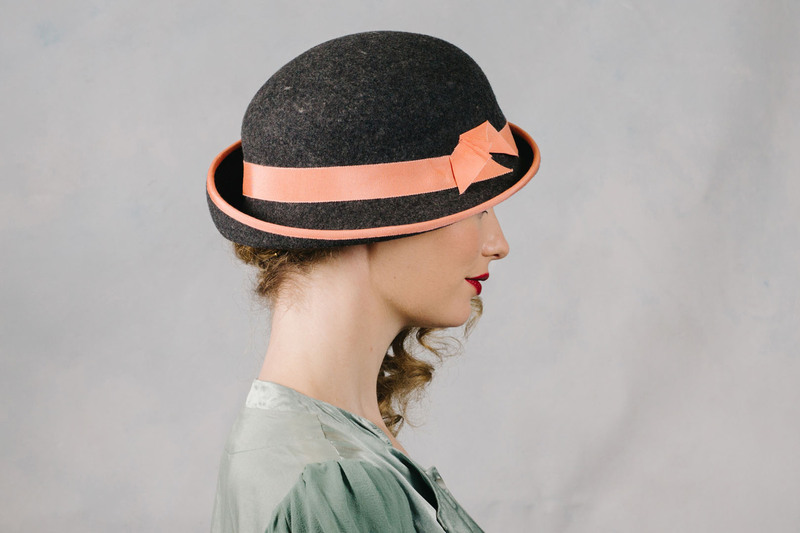 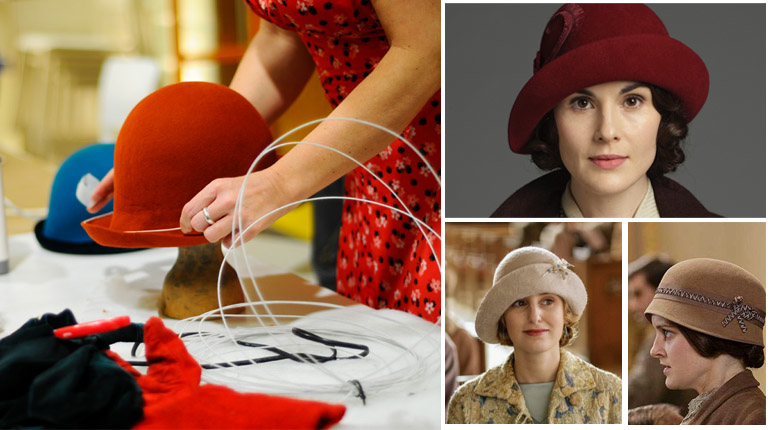 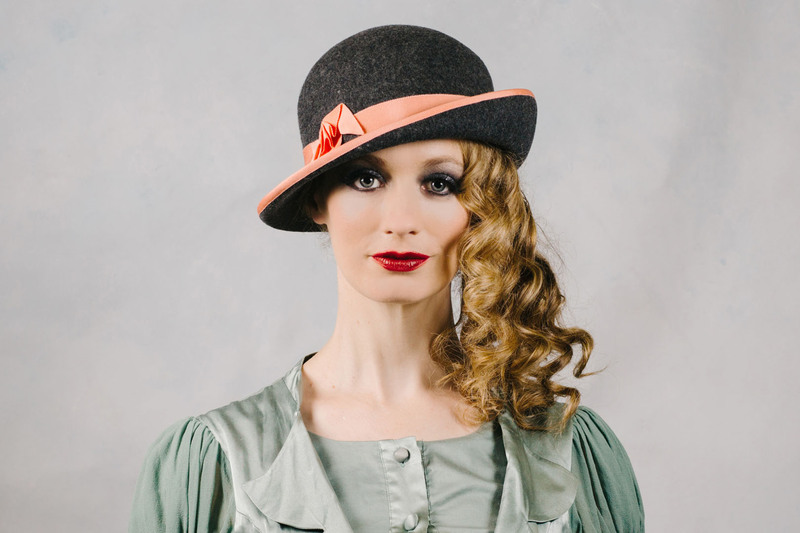 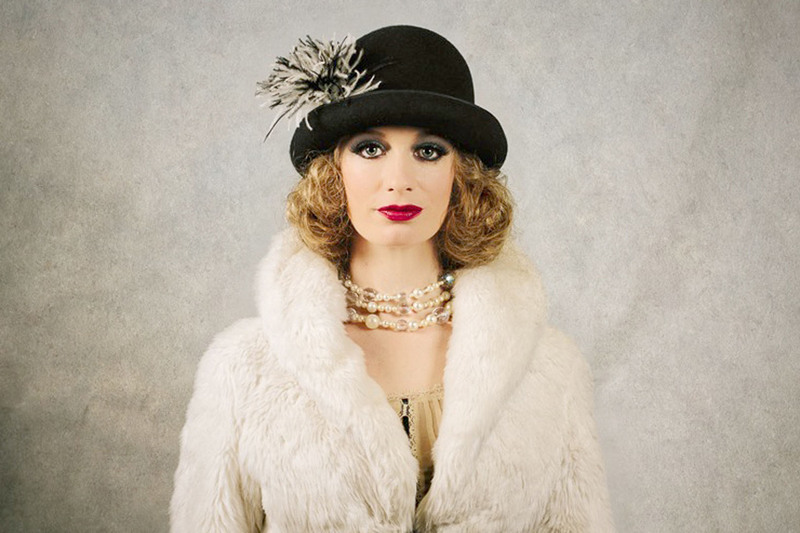 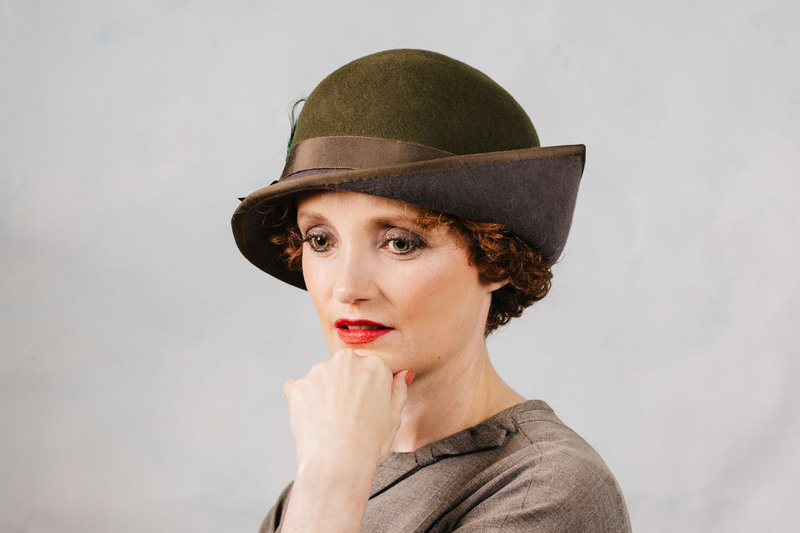 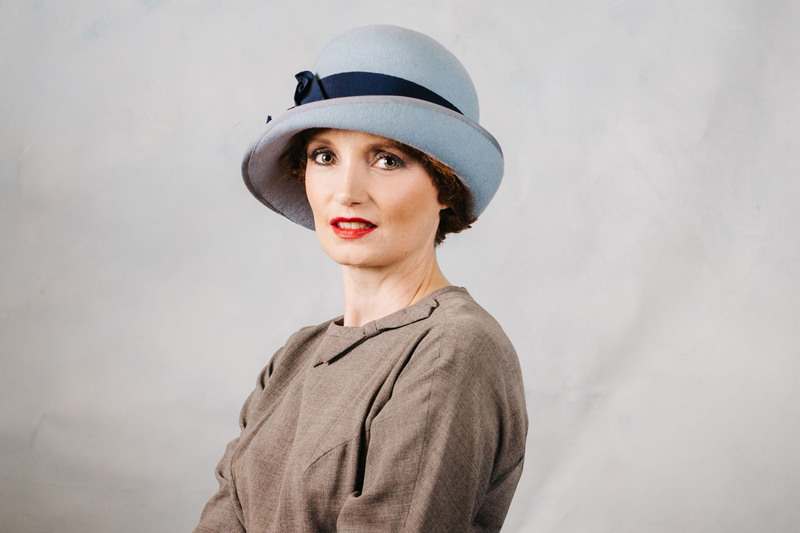 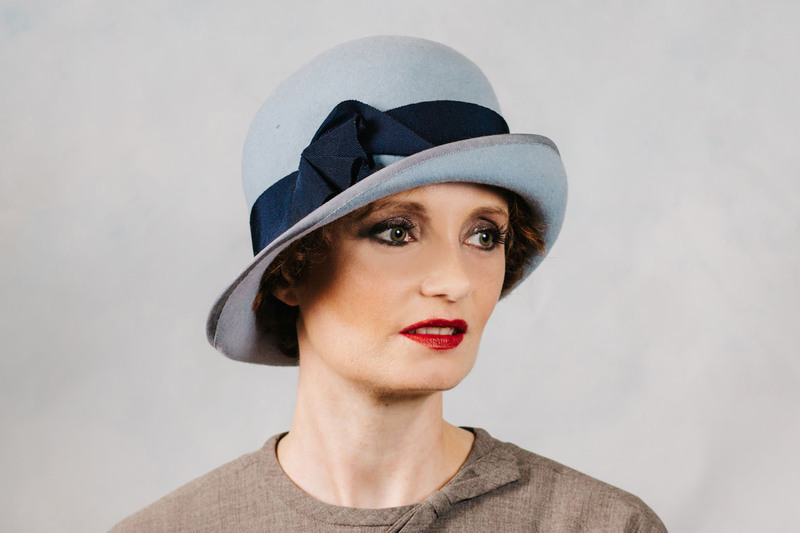 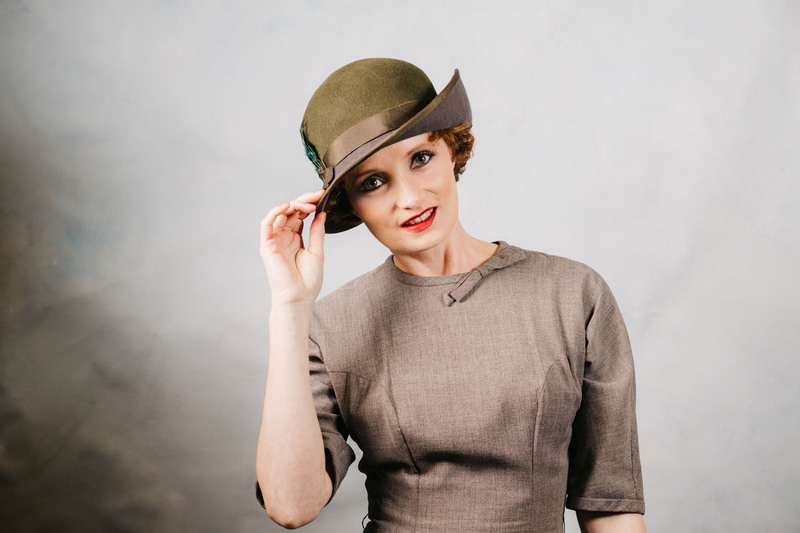 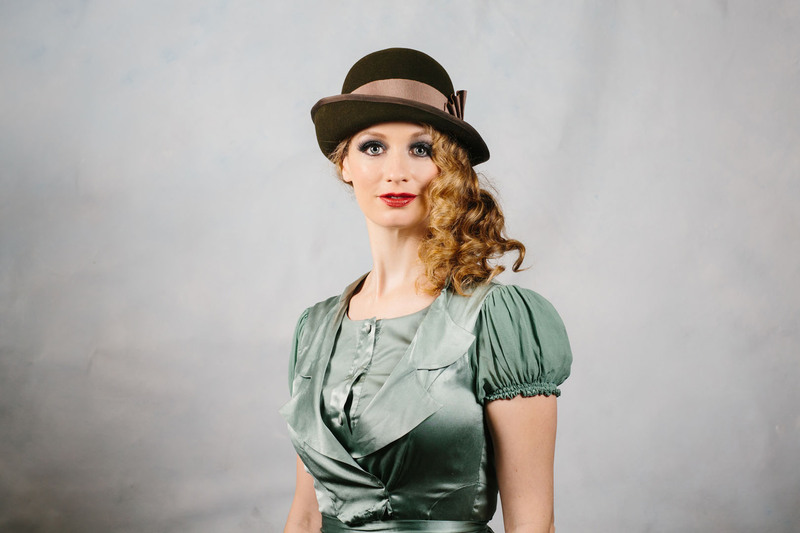 For those wanting a ‘Lady Mary’ style upturned brim, this hat is made in two pieces, and takes two days. 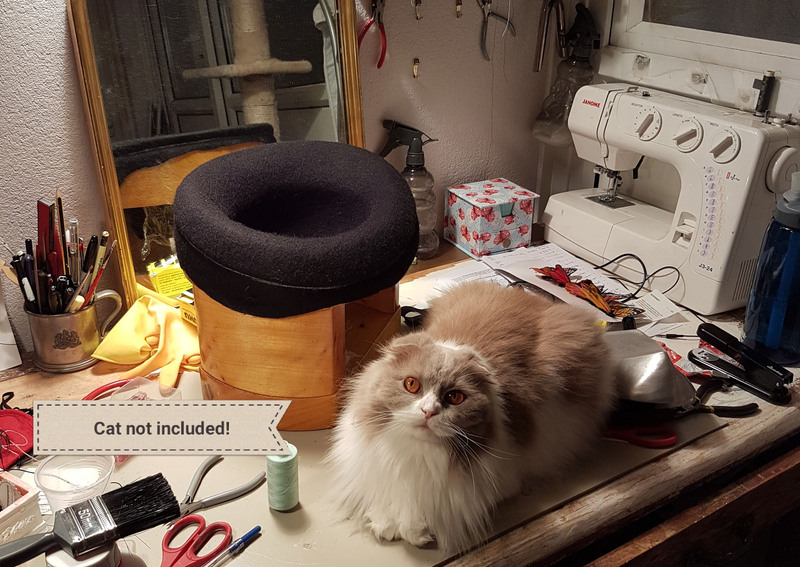 For those wanting a smaller ‘percher’ hat you can make two percher hats in the two days (note; it might not be possible for you to complete the two hats, but you will have at least one completed and have the skills and knowledge to finish the other one at home). 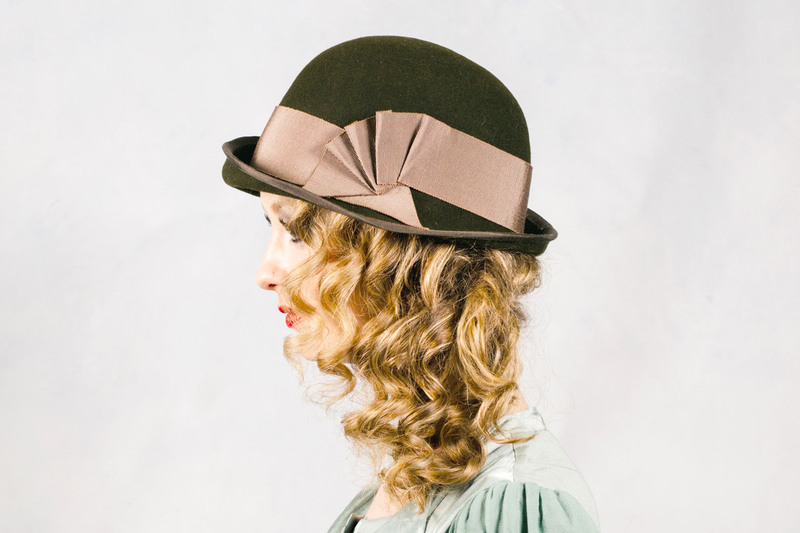 As well as blocking and finishing your hat with all the correct stitches, we also cover trimmings including folding and pleating Petersham ribbon. 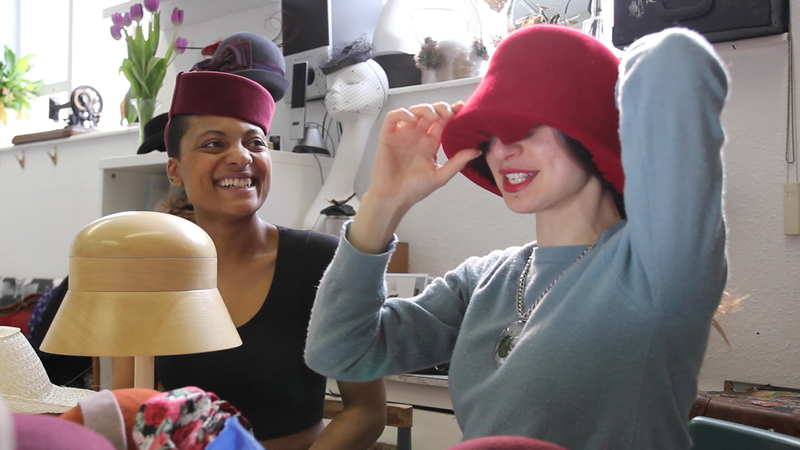 There is one shape per person, and Sahar will give choice on a first booked first served basis. 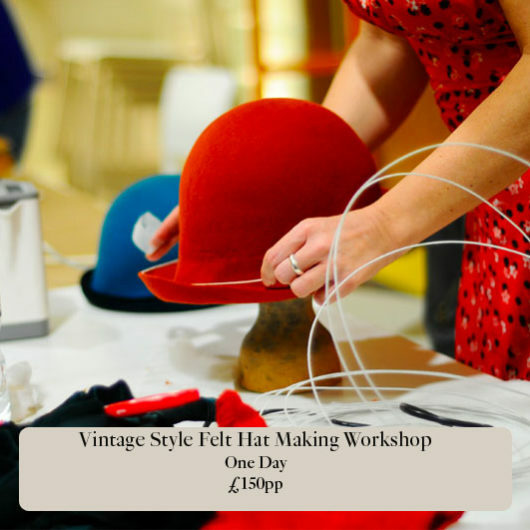 She will also provide you with a colour chart so you can order the felt colour you’d like to use. 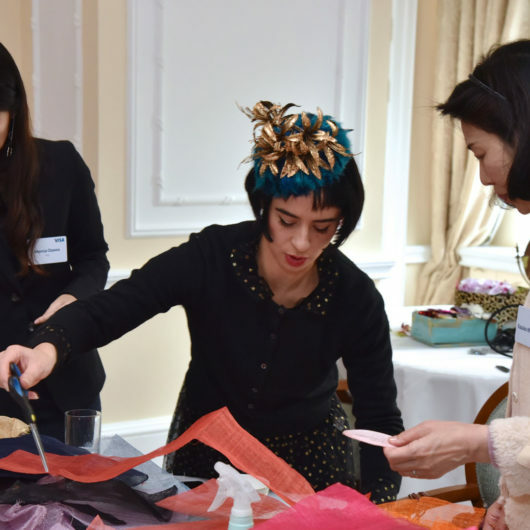 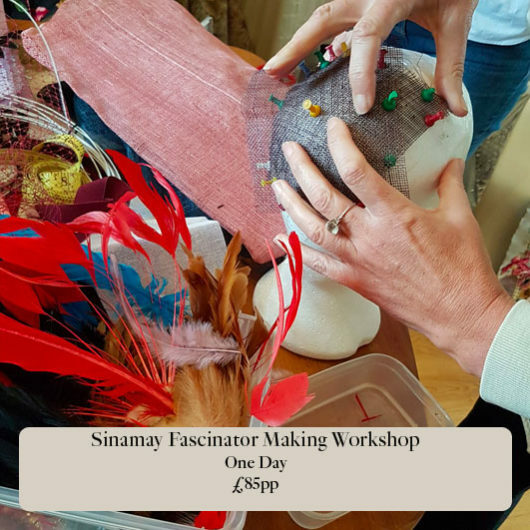 At the end of the class, each participant will have at least one new hat to take away with them, and gained an insight into the world of millinery – it’s materials, techniques, and how trimmings can drastically alter the look and feel of a hat.